is brilliantly portrayed by Charles Lawson. 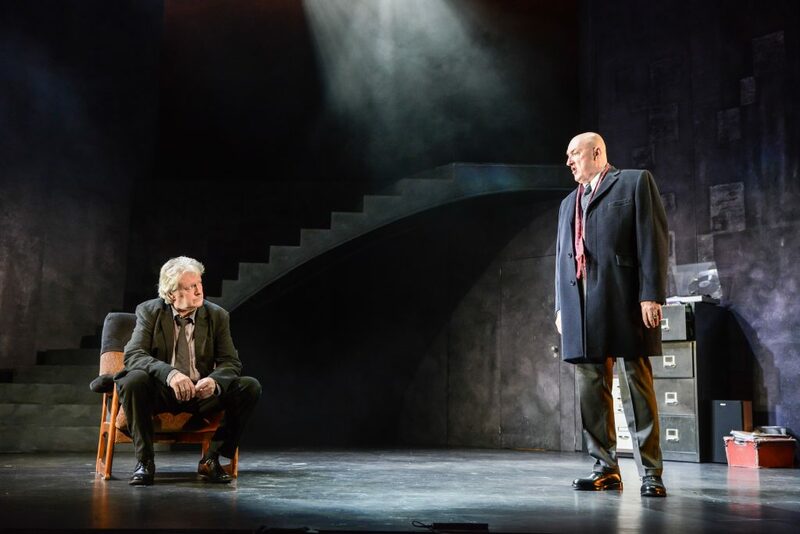 Lawson, best known as Coronation Street’s Jim McDonald, brings a new dimension to the character for this stage production. He is well supported by John Stahl and Cathy Tyson, as his nemesis ‘Big Ger’ Cafferty, the boss of the city’s criminal fraternity, and Rebus’s long time sidekick Siobhan Clarke respectively. They both show a depth which very quickly draws the audience into the plot and holds them fast until the conclusion. There are many twists and turns as the story unfolds, from the start when Rebus has a chance meeting, on his tenement stairs, with a young lassie whose mother had been murdered when she was a baby. This stirs in Rebus, the ghosts of two young murdered women demanding justice. His investigations lead him back to ‘Big Ger’ Cafferty, from where the plot takes several unexpected changes of direction before reaching it’s thrilling conclusion. The Principals are well supported by the remainder of the superb company, brought together by Birmingham Repertory Theatre.